Every fan of David feels love for him. They idolize him, follow him to the edge of the earth, buy his music and get hot flashes when he licks his lips. 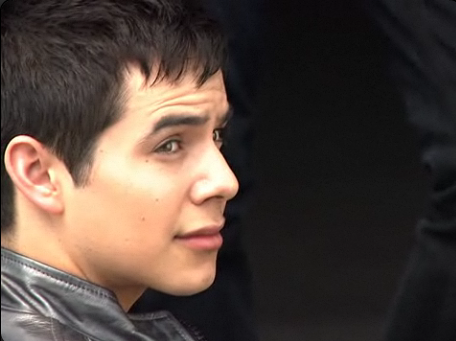 But how many Archies can actually put their finger on what they especially love about David? Yes there’s the voice and the looks and the personality. But what about the voice? What about the looks? Now, don’t get me wrong – I can hardly put the reasons of my infatuation into words either. But since David loves lists and I love everything about David, here is my attempt to enumerate my favorite qualities about David. In honour of the list-geek, I’ve divided my list into main- and sub-categories. David’s unique handsomeness shows at first glance. One that might know nothing at all about David can see his outer beauty instantly, which should attract them to investigate David further. It is so beautifully black (pictured above). To me personally, it’s rare to see people that have naturally black hair, since the trademark of us Finns tends to be blonde hair. Not only is it black, but it’s really thick. I once remember reading a comment from a hairstylist that worked with the Idol contestants during season 7. She said that David’s hair is so thick, she needed to use wax, gel and hairspray (all extra strong) to maintain the style she wanted to create. 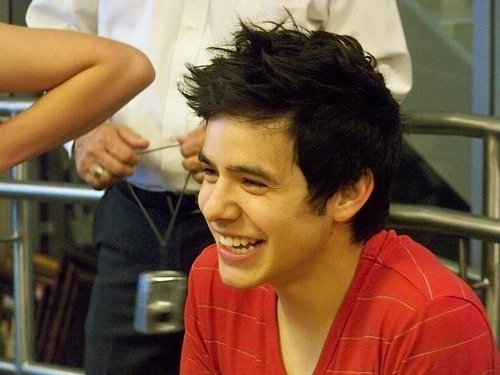 David’s hair is also a clear sign of his exotic inheritance, which I find very appealing. Latin passion… Whew. There has been a lot of talk about them eyes; the never ending debate whether they’re green or brown or both; whether the lady on tv is a cougar for saying David’s peepers are hot… Most common subject among us fans seems to be the belief, that by making contact with those magical, deep eyes you can see into David’s soul and he can see into yours. Unfortunately I have yet to experience a moment like that, but just by looking at photos of David I can see that his eyes definitely hold something unreal and it seems no one has ever gotten to look into them long enough to find out just what that mystery might be. With David’s eyes come the eyelashes – my personal favorite feature on humans and animals alike. I love lashes – my dog’s are an inch long (he gets away with anything). David’s incredibly breathtaking eyes are framed with long, black and thick lashes, that cast a shadow on his cheeks when he looks down or closes his eyelids. I could look at them for hours on end (I often have). Another personal favorite of mine. Maybe it’s because my own nose is crooked and long and could pierce a balloon, but I’ve always admired noses. David’s nose is actually quite large, but not in a way that it’s the first thing you pay attention to. It’s really straight and looks marvellous in profile photos. It’s some nose, I tell ya. Oooh, those sinful lips. Raise your hand if you’ve never fantasised about kissing lips like that. No hands? Thought so. Soft (all that chapstick), full, light pink (the prettiest colour lips could be). When David sings, his upper lip curves, reminding many ladies of the late Elvis. Not many men have lips like that. David’s been asked what skin products he uses numerous times. I like to believe that no product can create a skin like that. It is completely flawless. There exists photographic evidence of one pimple. It was taken at a book signing in June 2010. 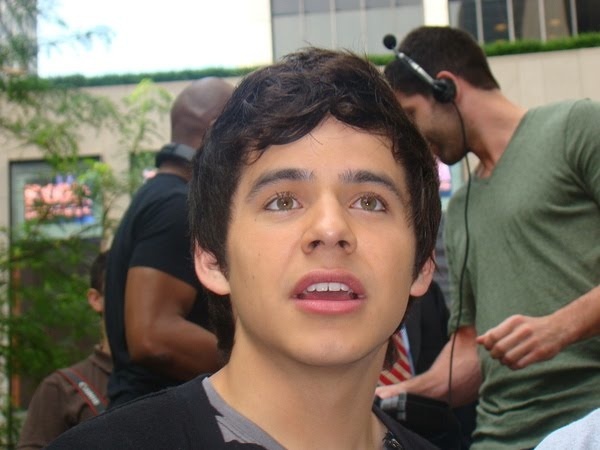 The zit (if it even qualifies as one since it is still unclear whether or not it is possible for David to develop blemishes) was located just above David’s mouth, on the left side of his face. It is the only proof of David actually having pores. His skin glows but doesn’t shine. It’s often tanned in summertime, which makes it even more gorgeous. Okay, this one I’m going to just mash up into one big feature, since it’s borderline inappropriate to specify each of David’s bodyparts – let’s talk about that stuff in the comments, shall we. David is small in stature, we all know that. But boy is he fit. It’s nice to look at a good figure, when it’s the place where the most amazing voice of all time comes from. Let us thank P90X, running (away from rabid fans), all that Zero Gravity jumping and of course the lettuce-pad thai-mango-diet. There is so much to say, to analyze and to worship about David’s unique instrument. He has an amazing ear, an exquisite inventive approach to songs and an incredible ability to feel the music, as if it was the source of life for him, the force that keeps his blood running and heart beating. Here are just a few of the aspects I adore about his voice. One thing I really envy as a singer is when a vocalist has a steady, natural, tender vibrato. David does and he uses it in all the right places, always keeping me on my toes – will he use it here or will he use it there? In Something ‘Bout Love he chooses to use it sparingly, which makes the song sound more longing and desperate in parts. Then as he hits the chorus, he places the vibrato beautifully in the words “believe” and “rain”. Those are actually the first things that I loved about the song when I listened to the low-quality clips. David’s range is ever-expanding. I’ve been listening to David’s recent performances and the ones he did on American Idol. Stand By Me is one great example of David’s improvement; that last ”staaaand”, which he kept short due lack of confidence in the Idol performance, then started to hold longer during the Idol tour, now shines strong with hardly any effort. The confident high notes have also strengthened David’s falsetto, which was an unknown area to David before (remember how he had to call his vocal coach to ask how falsetto is done?). Parachutes And Airplanes is a fine example of this. But David’s lower register has also enriched – just listen to those lowest-of-the-low notes he sings before the last chorus in Something ‘Bout Love. Doesn’t it make the ground shake? Then he does the opposite after the key change, when he hits one of the highest notes he’s ever sung in ”when the world falls down like rain”. I wonder what note that is. If you don’t know what it means to do a fantastic, flowing, effortless run, please listen to David’s version of Heaven (Hollywood week) and the part in the chorus where he sings “and I found it there in your heart.” It’s like releasing a ball to roll down the stairs. It just momentarily stops on each step, just for a second, and then goes on to the next one. Unbelievable. 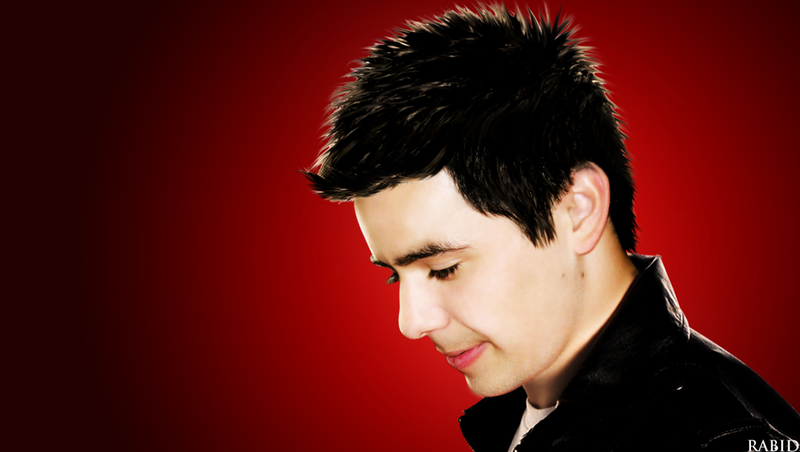 David has the ability to do whatever he wants to with his voice and the melody, and tends to renew songs by doing so. Everytime he sings, the listener is going to be surprised. Is this David’s Best Vlog Ever? Ever since getting to “fan” know David, I felt he is full of delightful contradictions. As I studied the lyrics of Something ‘Bout Love, there it was again: so many contrasting words and thoughts. Listening to his new single, I heard contemplative lyrics set against music that pulses aggressively to the end, with some adorable bubbly sound effects sprinkled in. I love the many colors, shades and shadows that seem to emanate from David and everything he does. As I was pondering the topic of my submission for my favorite little corner blog in Davidtown, Soul David, the name of the new album was announced. The Other Side of Down. BAM! There it was again. A play on opposites. Ah, David is so many delightful contradictions. He should not be “able” to sing, yet he does. He works hard- but makes it look easy. He is shy, but works a room like a polished politician. He loves to Tweet but struggles to fit his thoughts in 140 spaces. He shares himself totally, but closely guards his innermost heart. He is very well known, but not really known. He is visible and ninja….often at the same time. He is simple and complex…..often at the same time. He is confident and insecure. He is youthful, but wise beyond his age. He is serious and quirky. He is funny without trying. He is fidgety and “zen-like”. He is spacey, but amazingly intuitive. He sings when he talks. He has a young heart and an old soul. He has a caretaking spirit, yet everyone wants to take care of him. He has any army of defenders, yet he needs none. He is conservative and liberal. He is a risk taker and he is cautious. He is open and he is unbending. He is spiritual, but his feet are firmly planted on Earth. Millions see something in him that he struggles to see in himself. He has many opposite sides and all of them are simply delightful. One of the many things I have taken from getting to know David from a distance, over the past 2 ½ years, is that people are not always what they seem and may be so much more than you ever expected. 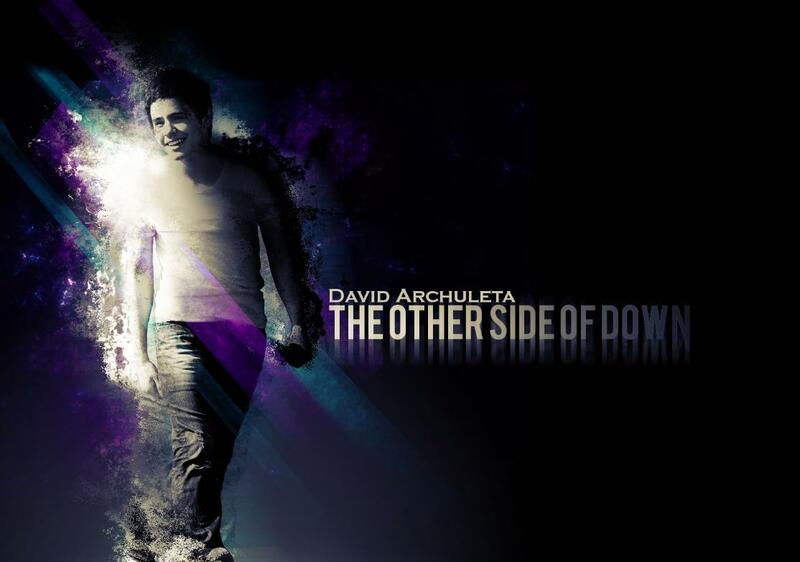 So, I was wondering, in the very challanging music business that David has ventured, what new “sides” of David do you think we will see as his amazing career continues to unfold? I’m scheduling another series in prep for my blog break next month. 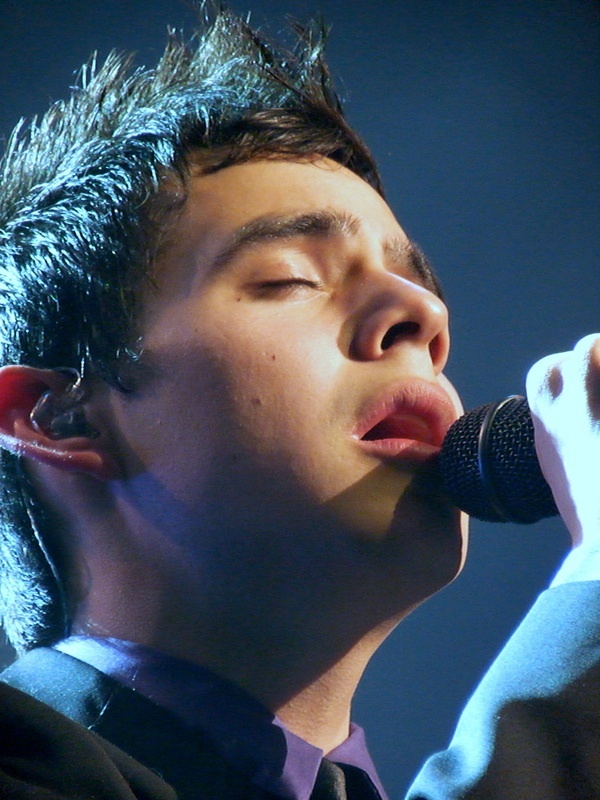 This go-round, I’ve asked my dear readers, who will be around, to keep up the pace and share some insights on our love for David Archuleta. Since I didn’t get a major response, I will take the opportunity that this new Soul David series provides and dig into the archives of some great writing and other creative works by David’s wonderful Archie fans to add to the mix with the new articles. Keep us all posted when you hear “Something ‘Bout Love” on the radio, and when the music video premieres! I’ll do my best to peek in here when I can. Kudos to Archies for constantly being on the lookout for a David television sighting. Had this info. not been shared, and had I not needed to be up early in the morning, I would surely have missed his interview on the “Balancing Act” morning show on Lifetime, which came on exactly at 7 am EST. I also had to scramble through my cable guide channel to figure out how to find Lifetime. Yeah, right. Like who is seriously going to wake up at 7 am EST to watch a show on Lifetime to catch a glimpse of David except the most devoted and demented Arch Angel (like myself for example)? One minute, he’s being aired on Fox and promoting his book, another minute, he’s over on PBS performing for a wide-audience program like “A Capitol Fourth.” In his two major TV appearances, which drew the largest audiences – American Idol and A Capitol Fourth – he showed up to sing a staple song from his Idol repertoire: “Imagine” on AI and “Stand By Me” on PBS. It’s all well and good; people who may have forgotten him two years ago got their memories refreshed as they took in the velvety Voice. But something seems amiss, right? There is no “strategy” to these appearances except to give David an opportunity to share his one-of-a-kind Voice. Why is David and co. so reluctant to boldly market David and his career – whether it’s reflected in a new single or in buzz about his new album? Why are Archies ranting about lack of radio play, as was recently exhibited in Abrra’s “Radio Rant” over at The Voice, or as I experienced in a private conversation with a fellow Archie? Why was it that, with our collective efforts with “Crush,” we saw instant results, but with everything else – be it “A Little Too Not Over You” or “Zero Gravity” – there is no immediate payoff in maximum exposure? I think, as Idol watchers and Idol alumni fans, we tend to forget what the cost is of “winning” or coming close to winning American Idol. When the show premiered, the PRIZE was a million-dollar record contract. Over time, I don’t know if that is still the goal, but both Idol winners, runners-up, and a few finalists (like Chris Daughtry for example) are supported heftily with 19 money. A cheap label like Jive went in with some good cash from the show to promote David, and they had that kind of budget to launch David with a successful debut single and album. It costs a pretty penny to get a spot on some prime shows, like Late Night on Leno, and it’s a hectic lineup to try to get a spot on The Today Show. It’s why former alumni like Chris Sligh advise Idol contestants and alumni to TAKE ADVANTAGE of that initial wave of success. It rarely repeats, and in the instances that they do, they result from certain personas positioning themselves to ride high on this wave. Kelly Clarkson benefitted from being the very first Idol, but she also was savvy enough to distance herself from the show, to “Break Away” literally as she titled her platinum-successful sophomore album, and to get a good manager period. Carrie Underwood advocated for country music since she was not interested in being a “pop star,” and was fortunate to be released to Nashville, working with peeps who had the savvy to play to her country-music-audience while simultaneously branching out to the ready-made pop audience. That’s why they are the two most successful winners from the show (and being women, they don’t have to carry the same kind of “cultural baggage” of appearing on a “cheesy” reality show, plus their vocal chops already prove their merit: not so with the male winners, who have far more “cool” and “macho” points to score with an audience beyond Idol). Other finalists, like Jennifer Hudson, just got a lucky break. Did she benefit from Idol exposure? Why, yes, because during her audition for Dreamgirls, she got the part because whoever was casting remembered her performances on the show and were interested in giving her a callback. But, again, in Jennifer Hudson’s case, it’s still a “lucky” break. Her post-Idol success is really a post-Dreamgirls success, as much as Idol producers would love to claim her (and you will notice that, most of the time, they don’t because, deep down, they know her success isn’t Idol-driven). If David’s team did “run out of money,” after all the “Crush” promotion, I think this is where management steps in. You will remember the bitter debates we’ve had in this fanbase, how some were especially disgruntled in the directions David seemed to be going post-Crush. Even his first solo tour seemed premature for a fairly new artist. When we think of the results – an insular fanbase made up of fans who would travel any and everywhere to see David – rather than an expanding fanbase, we have to recognize that management at that time wanted to take advantage of Archie love. Whereas his label capitalized on his post-Idol runner-up status, certain managment members (and do I need to name names here? I think I don’t) focused on the hysteria existing among his Arch Angels, and so they worked on catering to that base. Which is all well and good, and perhaps doing things “in the moment” is how most people go about it. But when I think of how Rascal got vilified because he dared to question Team David’s management ideas, which clearly lacked vision, it’s quite ironic that more Archies are starting to open their eyes to the situation. Just think back to Mardi Gras 2009, when some of us disapproved of David appearing with a then-little-known Justin Bieber, whom we thought was beneath David’s talents. It’s 2010, and look at their careers now! No, it’s not that David couldn’t have been launched to the stratosphere at this point (age has nothing to do with it), not when he was working the same gigs as the Bieber. It’s who’s managing your career for optimum payoff. Still, all is not lost, I don’t think. We have yet to see how things will unfold with “Something ‘Bout Love,” which has only been out on itunes for a week. Maybe there will be a push for more promotion, or maybe it will go the way of ALTNOY. But, if they don’t have the kind of budget they started with just after American Idol, that is to be expected and planned for. Sadly, it would have been better to strategically launch from the high point one started than to fall down and start again. Except David seems primed to accept this climb no mater where he’s at. He’s going along for the ride and is just grateful that we’re still there with him (at least I hope we are, though the sales numbers no longer show this). Let us hope that he takes a much more proactive role in launching himself back to the top. “Life After Idol” does not have to mean climbing back up to Mount Everest, as his good friend Brooke White once described.